Following on from another brilliant Microsoft Worldwide Partner Conference (WPC), I thought it would be good to update you with the latest and greatest news that emerged during the week. This year, WPC had over 16,000 delegates attending from over 156 countries, making it the largest WPC yet! nFocus landed on Saturday afternoon (07/07) and stayed up rather late to ensure we were on time-zone ASAP. This was particularly tough as we knew we had an early start on Sunday as we wanted to attend the pre-conference Application Lifecycle Management day. 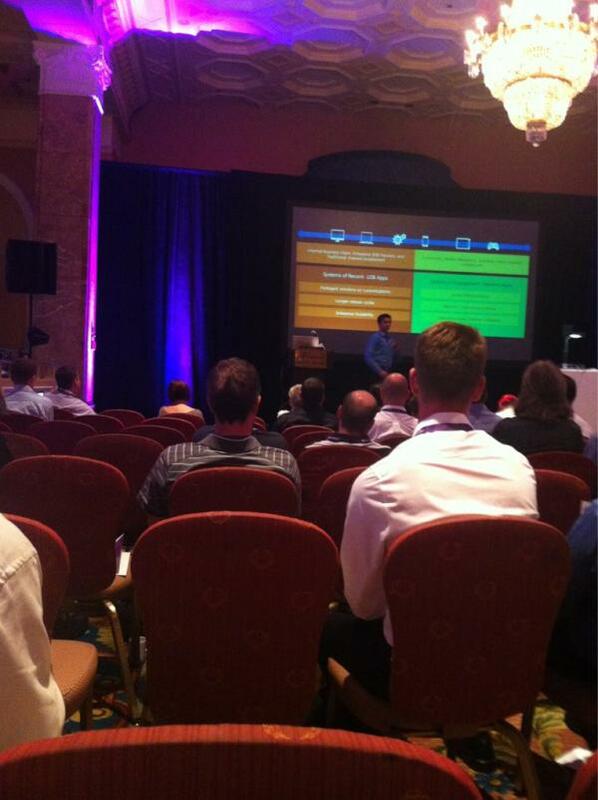 One of the key announcements from the Visual Studio ALM airlift session was around the changes to the ALM Competency. From later on this year there will be more assessments that organisations will have to pass to renew the competency including new testing assessments (something that us at nFocus have been campaigning for). ALM competency holders will need to be well rounded in this space to become/remain Gold Partners! There were some informative sessions during the day including Karthik Ravindran talking about modernising software development with ALM as can be seen below. We also discovered on Sunday why Microsoft had picked Toronto and its convention centre this year. 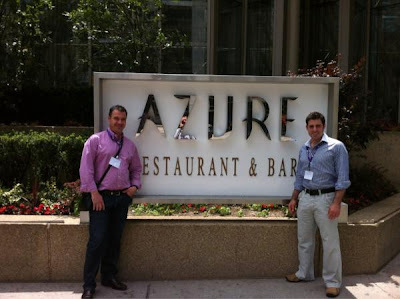 Check out this photo of Danny Crone and Scott Summers at a restaurant next door! 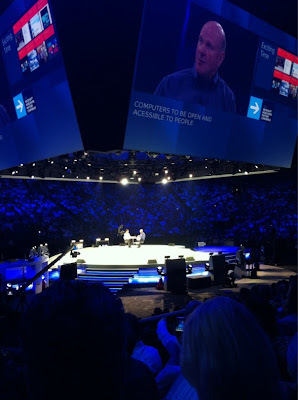 Steve Ballmer opened WPC with a motivating session stating “It’s not just talk. It’s real. It’s happening. It’s here.” He talked about a new era, and how Microsoft partners are at the very core of the story. One of the first announcements of the conference proper was the launch of Office 365 Open. Interest stat alert: Office now has 1 billion users worldwide, and Windows 7 has reached 630 million users! Microsoft is not resting on its laurels and Steve made it quite clear that there are another 6 billion potential customers out there that he wants to grab. Another exciting announcement came on the Windows 8 front. Windows 8 is on track for release to manufacturers during the first week of August, with general availability expected by the end of October. Enterprise customers could get Windows 8 as early as August! Day one finished with a number of short demonstrations of the practical applications of Windows Kinect such as using it with a projector on a wall to recognise hand gestures – effectively turning the wall into a huge touch screen. However the announcement of Microsoft’s acquisition of Perceptive Pixel really stole the show. Perceptive Pixel is a hardware supplier of large touch displays of up to 72 inches! A demo showed how seamlessly Windows 8 can be used on such a large touch screen display, including practical applications of Bing maps and interactive slideshows. Very cool indeed and a must for any boardroom (but perhaps when they have dropped in price from the current price tag of $80k!!). The Switch to Hyper-V Program was announced which aims to help customers transition from VMware infrastructure to Microsoft. This will provides guidance, training and software tools including the VM Migration Toolkit. Tuesday also included a fascinating demo of the hardware capabilities coming to Windows Phone 8 including interesting features through integrating Windows Phone 8 and Windows 8. Whilst a load of new apps and games were shown, one of the unique features we noticed was the ability to customise live tiles, to receive varying levels of real time information, providing a completely personalised phone interface displayed. The phone really does get tailored to become a tool that suits each user's preferences and interests. One of the last noteworthy announcements from day 2 including the launch of “What’s your cause challenge”. Microsoft has challenges its partners to nominate 500 eligible non-profit organisations between July 10 and August 31 2012. For more information visit the website. 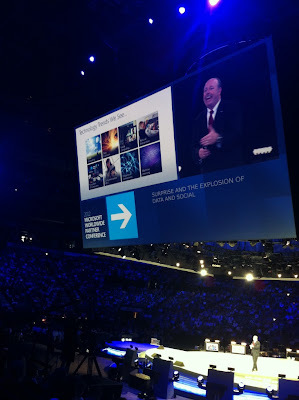 The final global keynote session on Wednesday was dominated by a fantastic session by Chief Operating Officer, Kevin Turner. It was an inspiration session with the vision of a continuous cloud service for every person, every device, and every business. He also achieved a roar of laughter from the crowd with the viral video of when someone asked Siri “what’s the best smart phone ever”, you can watch it again here. It was fascinating to see that Microsoft’s investment in R&D increased by £400M last year, eclipsing Google, VMWare, Oracle and their other competitors. The number of new releases across so many products from System Center 2012, SQL Server 2012, Windows Server 2012, improved Virtual Machine capabilities for Windows Azure, Windows 8, Windows Phone 8 is testament to this investment. The last day of the conference was made up of regional keynotes, with the UK session being titled “The Year Ahead – A winning Opportunity”. The event was compared by the fantastic Laura Atkinson (who we had the pleasure of spending some time with during the conference), and included sessions by Barry Ridgeway, Carl Noakes and an inspirational session around teamwork, working harder and working together by Canadian Olympic Gold Medalist Adam Kreek, who was also brave enough to pass around his gold medal! This year’s WPC was one of the best we have attended. It is great to see Microsoft leading the way with innovating technology across the board from enterprise level platforms to small and medium business applications to home users and gamers. I came away very enthused and feeling that Microsoft is once again bringing technological advances to the world in consumable formats. 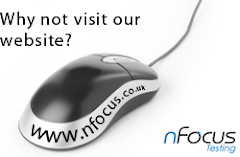 I am confident that nFocus’ decision to specialise on the Microsoft platform is the right one when there is so much new and exciting technology coming out of what seems to be a rejuvenated and once again, exciting technological thought leader. ALM- an opportunity for testing? Is it a Glitch or a Meltdown?